The NIU Department of Police and Public Safety encourages the campus community to participate in National Preparedness Month, a program by the Department of Homeland Security designed to promote preparedness in times of disaster. The program runs annually throughout the month of September and aims to educate individuals and communities on how to properly prepare for disasters. Individuals are encouraged to make emergency plans for themselves and their families. Developing a plan can reunite family members if they are separated and should include information such as where to shelter, where to meet and how to communicate. Once a plan is developed, be sure to practice that plan to ensure it works for everyone involved. Being prepared also means being able to help those around you. In case of emergency, your neighbor may need to rely on you and knowing what to do will allow you to help them, as well as yourself. Everyone is encouraged to learn skills such as First Aid and CPR. Learn how you can help others by visiting www.ready.gov/until-help-arrives. 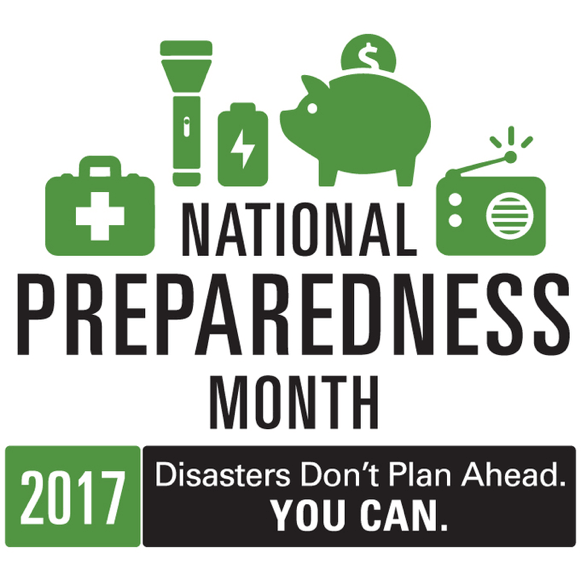 If you are interested in getting involved in your community or simply want to learn more, please visit the National Preparedness Month website to find personal plans, the FEMA mobile app, emergency kit designs and more. DeKalb City safety information can be found at the Fire Department and Police Department webpages. To receive NIU campus notifications download the Everbridge app. Visit the NIU Department of Police and Public Safety website and be sure to follow us on Facebook and Twitter for weekly preparedness tips throughout the month.